A few weeks following our blind Viognier tasting, Dezel finds himself still on a Viognier kick. The once near extinct French white wine grape variety is experiencing a resurgence worldwide in both acreage and popularity with a legion of producers and numerous styles to taste. So let’s jump right into the glass and talk a little about Virginia’s alternative white wine grape. 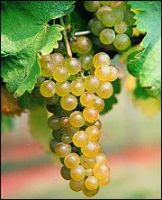 Viognier is a French white wine grape variety of the northern Rhone appellations and the principle grape used in the esteemed Condrieu and Château Grillet wines. Viognier produced from these areas, although pricey, are exclusively sought out by Viognier lovers around the globe and considered the most exceptional examples in the world. This exotic French white wine grape variety appears to have taken a liking to Virginia’s soil and climate type, and the consumers, in turn, are excited about its offerings and potential in peak vintage years. So are all Virginia Viognier examples the same or similar? No. The examples I have tasted have been anywhere from lightly flavored with subtle aromatics to crisp and complex with an inviting bouquet and intense stone fruit and/or citrus flavors with tropical hints. Since Viognier can be on the pricey side, it literally pays to go with your top producers for the style of Viognier you prefer and to count on them for consistency. TIP: 1 of the 80 wines on tap at the Whole Foods - Fair Lakes Enomatic hosted tasting room is a $50 Condrieu that can be tasted for $2 per 1 ounce pour; always good to try before you buy! As of last week, Virginia’s own Breaux Vineyards Viognier 2005 is aligned right next to it and tasting for $1 per 1 ounce pours. Try them side by side and note the differences. Virginia’s style of Viognier for the most part is similar to the acclaimed examples found in Condrieu, light to medium in body with good racy acidity and complex aromas of peach and apricot with similar flavors. In California, where the sugar levels at harvest are higher, Viognier is usually done in a lush, more full-bodied style with concentrated tropical fruit and honeysuckle flavors that are also very desirable. 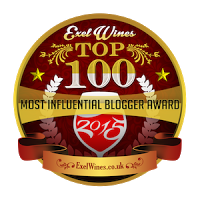 It was indeed that style that took 1st place in our blind Viognier tasting a few weeks ago. One Virginia Viognier that gets high praise from Dezel is the Kings Family Vineyards – Michael Shaps Viognier 2005. In my humble opinion, the Michael Shaps Viognier 2005, along with Rappahannock Cellars Reserve Viognier 2005 are some of the best of the 2005 Virginia vintage. Unfortunately, the 2005 vintage is sold out in the King Family tasting room, but I have been informed that the 2006 is equally as good, if not better. Since Viognier does not age particularly well, I will be consuming the last of the 05 vintage that I have very soon and moving to the 06 vintage. Generally, Viognier is good for 2-3 years, but at its best when consumed young. So let’s check out the Michael Shaps 2005.